Whether you need a generator for camping or to use on the construction site, home or commercial business, our wide range of Generac generators are up to the task. If you’re looking for a generator of superior quality, high reliability and great customer support, you have come to the right place – Click here to visit Ohio Generator Experts, a division of Portman Electric. Whether you need a generator for camping or to use on the construction site, our wide range of Generac generators are up to the task. With an extensive range of generators for home, commercial business, industrial, mobile and portable generators and specialized knowledge so you can get advice whenever you need it, Ohio Generator Experts is the place to be for all your generator requirements. During a power outage, protecting your home with an automatic standby generator can assure that you will have peace of mind when it comes to having heat, lights, refrigeration, hot water and sump pump operation. Loss of any of these conveniences can be costly. 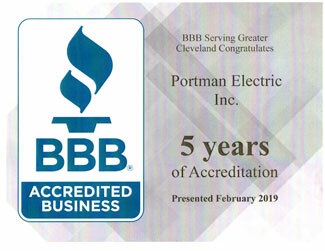 If you are a business owner, large or small, whether you are backing up an IT Department or the entire business, Portman Electric has a generator solution to meet your needs. We are factory certified for sales, installation, service and warranty—to ensure that your larger business runs smoothly. Ohio Generator Experts can provide higher kw units for large applications. With over 27 years of experience, our staff is highly trained and qualified to install and service your generator needs. Automatic standby power can be cost effective to back up IT and production during a power outage. Delivering prime power solutions in a wide range of power nodes, Generac Magnum mobile generators are designed and engineered to support a variety of projects, regardless of the weather conditions.